A gentle, natural exfoliator made with fairly traded and certified organic ingredients. The cruelty free face scrub is suitable for vegans and gently removes dead skin cells and impurities to reveal a glowing complexion. With an uplifting citrus aroma and enriched with organic apricot, bergamot and mandarin it is made without using parabens, SLS and other ingredients that can potentially irritate sensitive skin. The Green People Fruit Scrub Exfoliator - 50ml product ethics are indicated below. To learn more about these product ethics and to see related products, follow the links below. 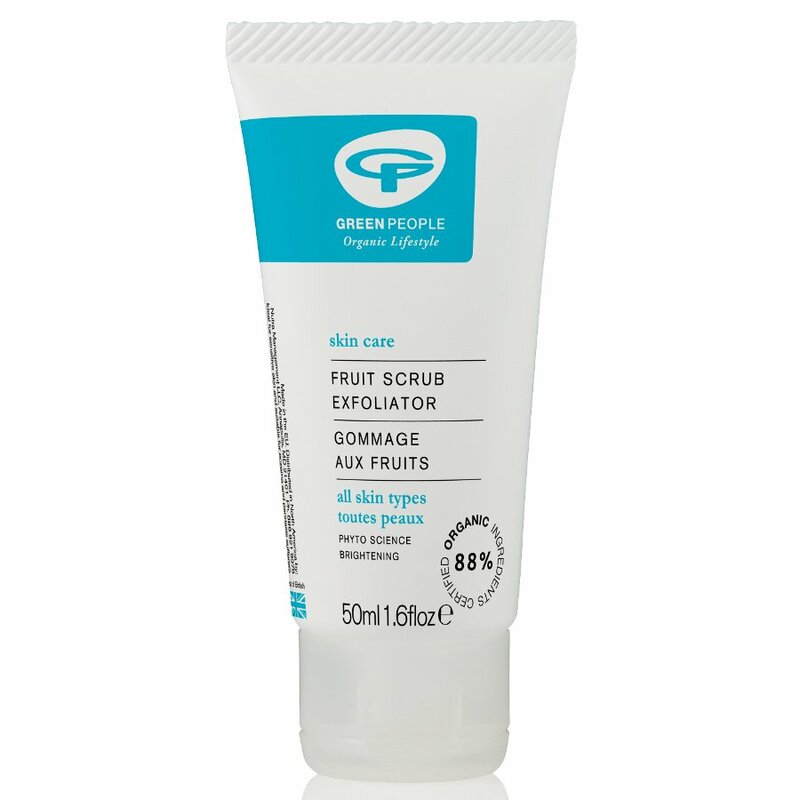 There are currently no questions to display about Green People Fruit Scrub Exfoliator - 50ml.